Thomas Jefferson High School held its third annual online auction from March 10th through the 14th. 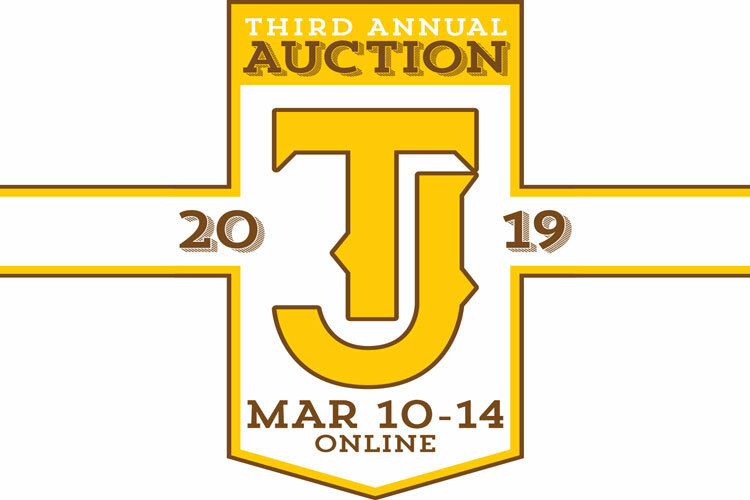 On Thursday, March 14th, TJ concluded its third annual auction since the fundraiser’s launch in 2017, which came about as a result of TJ parent Megan Perkins’ determination to provide Thomas Jefferson High School with a fundraiser that would yield positive results directly towards the school. Since the auction’s initiation, Perkins has worked tirelessly alongside TJ’s Parent-Teacher Organization (PTO) to cultivate the online fundraiser into an efficient and unique facet of the many dynamic traditions within the TJ community. Over the course of these past three years, TJ has accumulated over $30,000 in funds, with over $11,000 accrued from this year’s auction alone. This year’s online auction boasted a total 175 items up for bid from a wide variety of unique categories. Some of the items included tickets to plays and sports games, gift cards to a plethora of different restaurants, free hair or spa treatments, prom items, and much more. “All the items up for bid in the auction are donated, so 100% of the money raised goes to the school.” Perkins commented, “Many of the donations are items you would purchase anyway, so when you buy them through the auction, TJ benefits.” By purchasing items via the online auction, the consumer is directly supporting and impacting the students, faculty, and community of TJ, as the funds raised from the event are made available for the grant program. This money is subsequently used for commodities to further enhance Thomas Jefferson High School and enrich the minds of its constituents. Perkins formulated the event as a result of her involvement with the online auction of her child’s alma mater, Slavens K-8 School. She took notice of the success of that fundraiser and decided to refurbish the idea of an online auction to suit TJ’s needs. Furthermore, Perkins was inspired by the extensive work that the TJ community put into other fundraisers; however, she wanted to do something that would bring in a greater profit while ultimately requiring less maintenance. While the auction has flourished immensely over the course of the past three years, Perkins hopes for continued growth in the future. “My hope is that the auction continues to grow each year, and can provide a consistent source of revenue for the school. Having funds available for the grant program each year will provide our teachers and students with more opportunities,” explained Perkins.